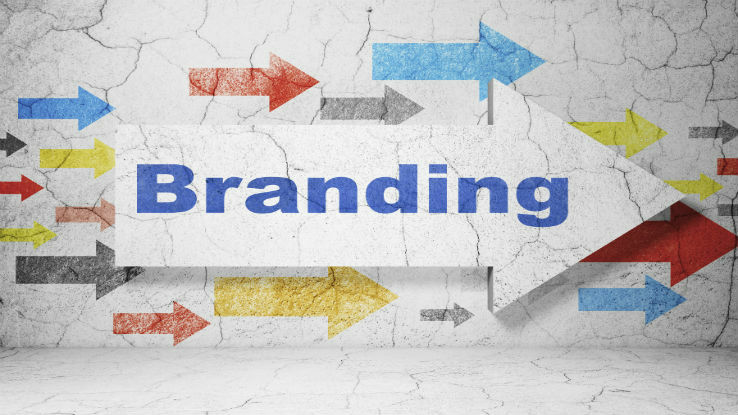 Key to achieving success as insurance and financial services professional is developing a personal brand. Key to achieving success as insurance and financial services professional is developing a personal brand, said YAT Forum panelist Mark Acre. In the coming years, many more carriers will offer products that allow owners of permanent policies to convert the cash value or death benefit into a single premium immediate annuity-like life income option. So predicted Michael Staeb during a panel discussion of young advisor team (YAT) members at the career conference and annual meeting of the National Assocation of Insurance and Financial Advisors, being held in San Diego Sept. 6-8. The Saturday “YAT Forum,” attended by advisors under age 40, alternatively explored health-related risks that clients must face, how advisors can establish a personal brand, the financial concerns of women and social media best practices. Staeb, a principal of Staeb Brokerage, identified dying too soon, living too long, and getting sick “along the way” as the three top health-related risk clients must plan for. Too often, however, they spend more money than necessary for financial protection because advisors fail to bring to the client’s attention cost-effective solutions. In respect to life insurance, said Staeb, one such option is laddering: buying multiple policies, each insuring for a different fixed term, rather than purchasing a single policy covering an insured’s full income replacement needs. In Staeb’s example, an insured who needs $2 million in coverage buys four policies. Each carrying a face amount of $500,000, the policies include three term life contracts (10-, 20- and 30-year term), plus a permanent life policy. As the insured ages, Staeb said, the amount of coverage needed to protect against a premature death declines. Hence the rationale for implementing a laddering strategy. Turning to the second risk–outliving one’s retirement savings–Staeb said there are “a ton of” lifetime income annuities on the market to address this issue, but few offerings among life products that pay benefits as an income stream. He noted he was familiar with just two carriers (he did not disclose the companies) that offer a fixed period income benefit built into a guaranteed universal life contract. Neither carrier offers an income for life option. As to the third retirement risk, a disability that would prevent an individual from working, Staeb said advisors must learn to distinguish between two life insurance policy riders: (1) a waiver of deductions; and (2) waiver of specified premiums. He said he recommends the latter for permanent policies, as it would fully replace the policyholder’s premium payments, including amounts thereof directed to the cash value component. The waiver of monthly deduction, in contrast, only covers a policy’s cost of insurance (COI). Staeb added that, after earlier opposing chronic (or long-term) care and critical illness benefit riders on permanent life policies, he now supports these indemnity options because (as he learned in a recent seminar) of the riders’ flexibility. With these indemnity benefits, even if you’re not incurring disability-related expenses, you can get the benefit and use it for other needs, such as paying off a mortgage or replacing retirement plan contributions. To protect again all contingencies, an advisor might recommend a client purchase two life policies, each carrying one or the other rider. How can female advisors positively impact the lives of women? An obvious starting point would be to engage them in financial planning discussions. Yet too often, said panelist Deanna Brown, advisors fail to do so. The main reasons: The male spouse recruited the advisor; or by disposition or interest, the man in the family is the one who handles the finances. But, Brown warned, directing planning recommendations only to the male spouse can be a big mistake. In many cases, his issues and priorities, such as securing a greater return on investments, may differ from the wife’s (e.g., ensuring that funds intended for retirement are not unduly exposed to market volatility). These differences in financial priorities, or diverging views about the expertise and trustworthiness of the advisor, can emerge in subsequent private conversations between the husband and wife. If the advisor doesn’t have an opportunity to address them, then the opportunity to secure the couple’s business may be lost. Another pitfall: That the wife will the drop the advisor after her husband dies, a common occurrence because women have a longer life expectancy than men. If, said Brown, you never engage the female spouse — thereby building a rapport and establishing your expertise — then she’ll likely feel less compelled to maintain the professional relationship. When engaging female clients (especially divorcees and single mothers) in planning discussion, Brown added, the advisor needs to bear in mind frequently cited “balancing issues.” Among them: caring for growing children while meeting the needs of aging parents; funding adequately for retirement; and insuring a legacy for children when they die. If you’re thinking about using social media to promote your practice, take this advice: start now–don’t let concerns about the time commitment hold you back–and post good content. So counseled Chris Hills, co-manager of three consumer awareness campaigns of Life Happens, a non-profit that helps consumers better understand life, disability and long-term care insurance. “You want to let your personality come through on social media,” said Hill. “So be real; be knowledgeable. “I also recommend experimenting as much as possible,” he added. “You don’t know what will work until you try something new. Social media is not a one-size, fits all thing.” Hill also cautioned against responding immediately to “trolls,” or individuals who sows discord by posting online messages intended to provoke readers into an emotional response or otherwise disrupting normal on-topic discussions. The better strategy, he said, is to allow for a “cool-down period” after seeing an inflammatory post, then responding professionally. Key to achieving success as insurance and financial services professional, said Mark Acre, president of OneSource Insurance Group, is developing a “personal brand” that instantly communicates your value, and what you want to be known for, to clients and prospects. Just as, for example, Steve Jobs is often thought of a “ successful entrepreneur” or “technology innovator,” so also should a personal brand–trusted professional, caring advisor, knowledgeable expert–come to mind when clients talk about you with your family members, friends and colleagues.